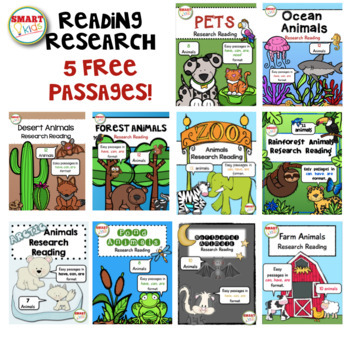 This is a free sample of five passages found in the Animal Research Reading Bundle. *Provide fluent readers with their own copies of the passage. Students highlight passages and then record the information on the corresponding category charts. *Read aloud the passage to nonreaders. Create a class chart based on the facts. 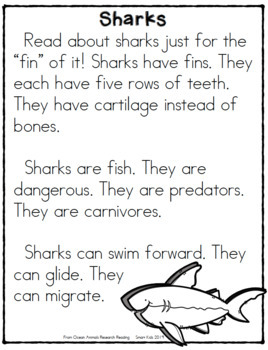 *Ask beginning readers to highlight key words or sight words. 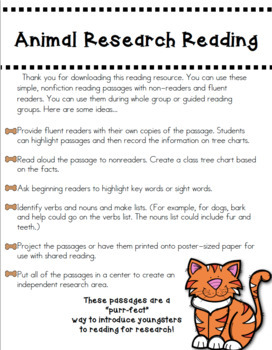 *Project the passages or have them printed onto poster-sized paper for use with shared reading. *Put all of the passages in a center to create an independent research area.